Understanding the Arizona purchase contract can be a real challenge. If you are thinking of buying a home in Arizona here are some things you will need to know to understand the Arizona purchase contract. The nine page contract contains a pre-printed portion of language drafted by the Arizona Association of REALTORS. The contract is divided into nine sections. Before you sign the Arizona Residential Resale Real Estate Purchase Contract you should receive an Arizona Buyer’s Advisory from your buyer’s agent. The Buyer’s Advisory will help you understand the purchase contract and will provide useful resources available to you during the due diligence process once your offer has been accepted. Section one of the Arizona Purchase Contract relates to the Property itself. The buyer and seller names will be inserted as well as the legal description of the property. Page one is where the offer price and earnest money will go and will disclose whether or not the offer is cash, financed or a portion of both. Close of escrow date is selected and as well as possession date of property and any addenda that may accompany the offer such as a homeowner addendum or buyer contingency. Section two relates to Fixtures and Personal Property included with the sale. Some buyers offer a specific price that may include furnishings. It is important to note that if your offer contains financing lenders will not permit personal property to be included with an offer. Normally that is handled on a separate bill of sale outside the purchase contract. Section two also deals with the financing section if a loan will be obtained for the property you are purchasing. In Arizona a loan Pre-Qualification AAR Form should be attached to an offer to strengthen your position. Arizona Lenders can normally pre-qualify you on the phone and send a pre-qualification to be submitted with the offer. This section is also where you will disclose the type of financing, ask for any seller concessions and disclose who is paying for the appraisal fee. Section three deals with the Escrow Process. Unlike many states, Arizona closings are handled through escrow. The title company will be disclosed. Read the entire section as it deals with title commitment and who pays for any liens on the property should they be discovered. This section also deals with IRS reporting requirements for non-resident aliens. Section four is all about Disclosure. The seller should provide a completed AAR Residential SPDS (Seller Property Disclosure Statement). This form is not required and in some cases the seller will not provide it. Typically that is on homes where an investor has purchased a home to fix up and flip and has not lived in the property. Discuss this carefully with your buyer’s agent as you are giving up rights to information on the home you are purchasing that may impact you down the road. The seller will normally also provide a CLUE report which is a five year claims history revealing any insurance claims filed on the property. If the home was built prior to 1978 you should also receive a lead-based paint disclosure. Section 5 deals with warranties both what the seller warrants and those things that survive closing. Section 6 is your Due Diligence area and should be read carefully and understood. Normally the buyer’s inspection period is ten days from contract acceptance date. Sometimes in a seller’s market the buyer’s agent may recommend that be tightened to help your offer receive more consideration. Discuss this with your agent before making a decision. You don’t want to make the time frame so tight that you do not have enough time to have additional inspections done if warranted. 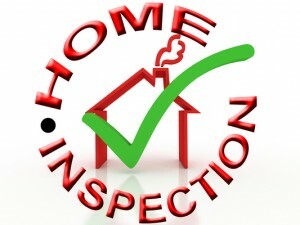 The home inspection process is very important. 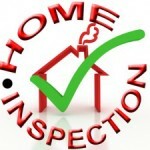 You will note in the purchase contract that you have the right to conduct many different types of inspections. 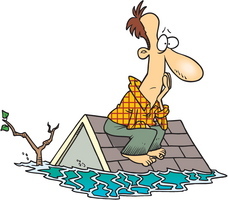 Normally, a home and termite inspection are the minimum and if the home has a pool you will want that inspected too. If the home has a septic system you may want to have that inspected. Once the inspections are complete you and your buyer’s agent will discuss what items, if any, to ask the seller to repair. The seller will have five days to respond to your request. If they do not agree to fix everything you requested you have up to five days to cancel the contract and receive an earnest money refund. This is also the section where you can ask for a home warranty policy and may ask the seller to pay the premium. A home warranty can save you thousands of dollars in repairs. Your agent will be able to recommend some companies and guide you into who should pay the premium. Section seven deals with Remedies in the event of breach of contract. Section eight is Additional Terms and Conditions. This section will deal with risk of loss, compensation, calculating time periods, subsequent offers, earnest money and terms of acceptance of your offer. It will also disclose the broker on behalf of the buyer and it is where you as the buyer will sign the contract. Section nine is the Seller Acceptance. Once the Arizona purchase contract is complete with any addenda the buyer’s agent will submit those documents, along with a copy of your earnest money check, to the seller’s agent. They will accept and sign or check the counter box and send a counter. On some occasions buyers will instruct their agent to submit a low ball offer and the seller may not respond. If you are thinking of buying a home in Arizona take time to understand the Arizona Purchase Contract, Buyer’s Advisory and all addenda that accompany an offer. For most people, buying a home is their single largest investment. Take time to understand the process. For more information on home buying resources and tips contact us at 480-440-0849 or simply fill out the short form below and we will contact you!